Preserving the harvest is one of my favorite aspects of growing a garden. 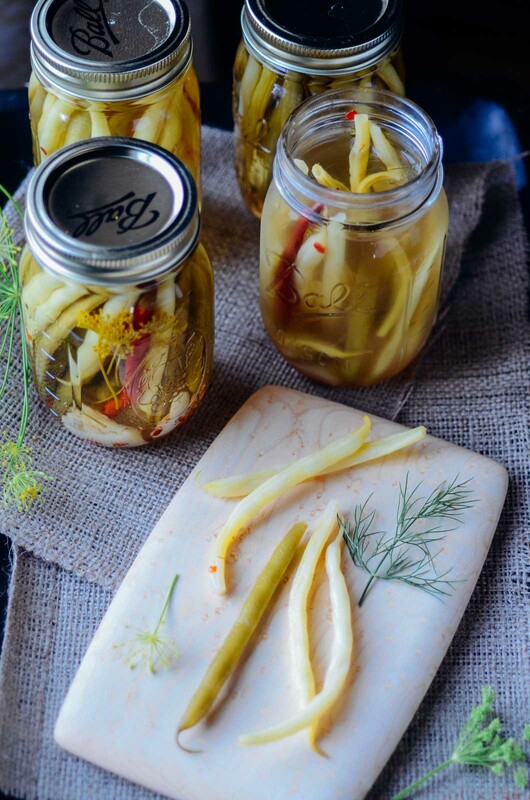 I like to think that I am reconnecting with the past, although I didn’t have a relative that taught me to jam and pickle, I’ve always had a romantic vision of spending late summers in a kitchen learning the secret recipes of a beloved grandmother. My garden has produced a tremendous amount of green beans so I decided to pickle and preserve some for the coming winter. Growing up I thought that food only came from the supermarket and was only worth eating if it was produced by Chef Boyardee or Kraft. When our food can travel from hundreds or even thousands of miles away, there is comfort in knowing that the food my family is consuming came from our backyard or a local family farm. 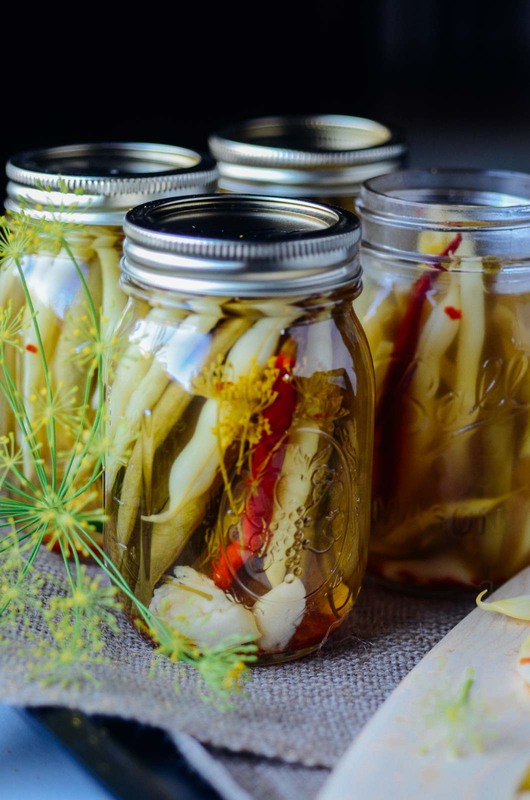 Living in Portland makes it hard to rely on the garden in the dead of winter, and that’s where learning to preserve the harvest becomes so valuable. I was intimidated and nervous when I canned my first batch of tomato jam but nothing exploded, and no one got sick. While it can be time-consuming, I find that it gets easier with practice, and I enjoy the process. There are times when I question our decision to move to Portland, but one thing I will never regret is that this is where I developed my love of gardening and preserving the delights that grow in the soil tended by my hand. 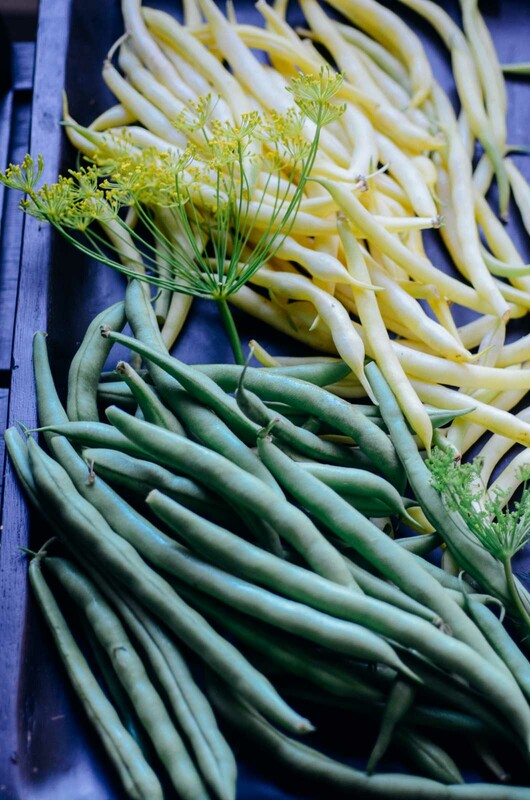 If you are intimidated or not interested in canning the beans for long-term storage you can cut the recipe in half and store the beans covered in the pickling liquid for up to 2 months. 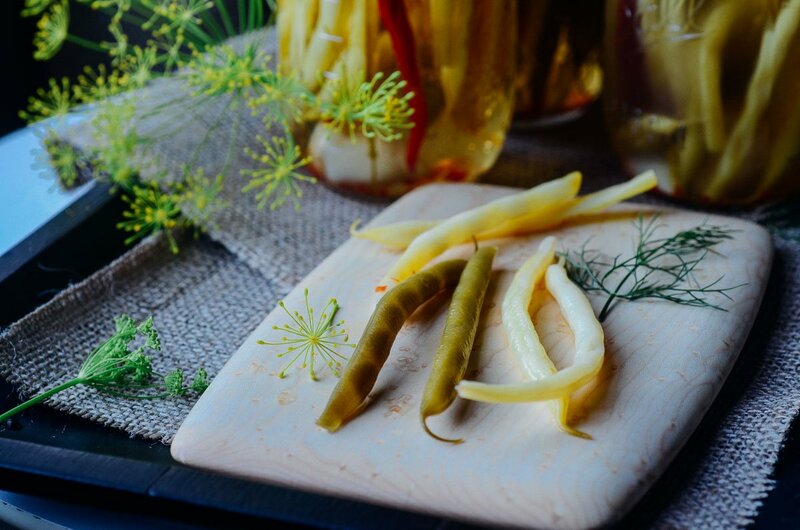 These pickles are delicious with a wonderful dill flavor and would make a lovely addition to a cheese plate. If you can’t find dill heads then substitute dill seeds, the flavor won’t be as pronounced, but they will still be delicious. 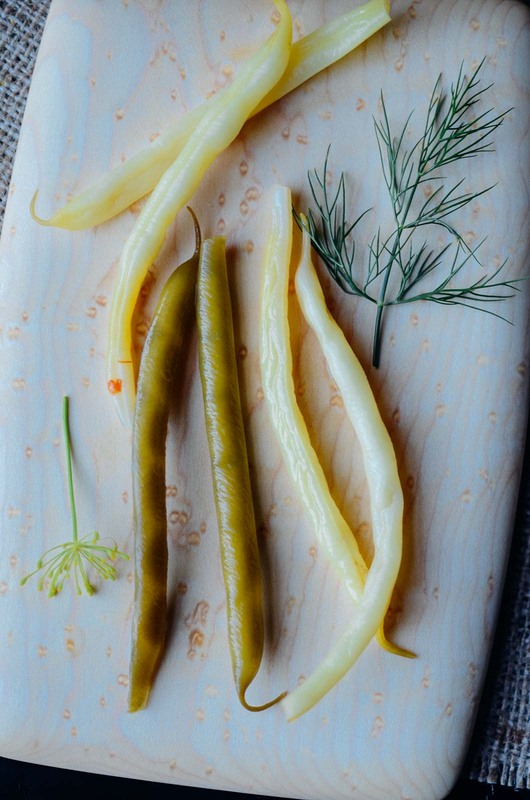 These spicy green beans are the perfect addition to your favorite salad or cheese plate! If you don't want to can the green beans half the recipe and store in the fridge covered in brine for up to 2 months. Prepare for water-bath canning: Wash the jars put them in a canning pot filled with water. Bring to pot to a boil while you prep the rest of the ingredients. In a wide non-reactive pot combine the vinegar, 4 cups water, and the salt. Bring just to a boil and stir to dissolve the salt. Using a jar lifter, remove the hot jars from the canning pot, carefully pouring any excess water back into the pot, and place them upright on a clean kitchen towel. 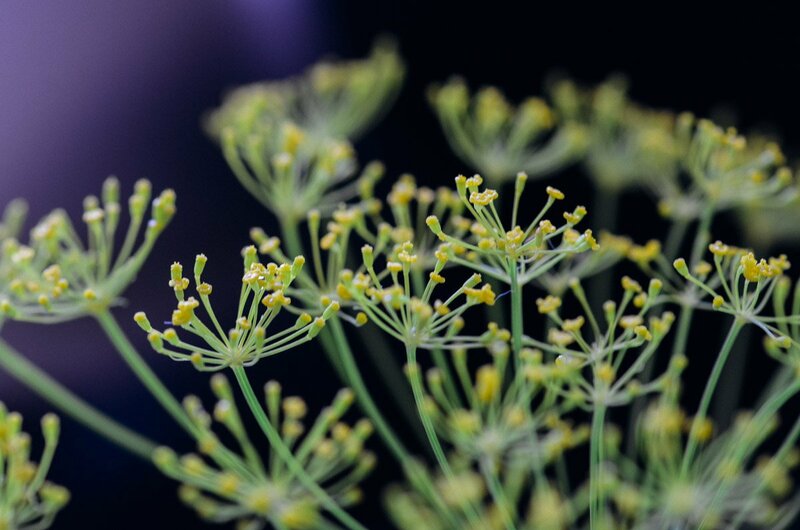 Working quickly, place a sprig of dill, a clove of garlic, 1 to 2 dried chiles, and ½ teaspoon to 1 teaspoon red pepper flakes in each jar. Pack the beans in the jar and ladle the hot vinegar mixture into each jar leaving ½ inch headspace at the top. Use a chopstick or butter knife to remove any air bubbles around the inside of the jar. Wipe the rims of the jar with a damp paper towel and put the lids on each jar and seal with a ring just until it’s finger tight. Return the jars to the water in the canning pot, making sure the water covers the jars by at least 1 inch. Bring to a simmer and simmer for 10 minutes to process. Remove the jars and let them sit undisturbed for 12 hours. Check that the lids have sealed by pressing down on the center of each one; if it can be pushed down, it hasn’t sealed, and the jar should be refrigerated immediately.